Built in 1941, this Larkspur property features 2 bedrooms / 1 bathroom, with an open 978 square-foot floor plan, and is highlighted by hardwood floors, with a master bedroom and convenient kitchen with gas range. There is a large level backyard, which sports a lush lawn and mature fruit-bearing treas. The covered courtyard has an extra half bathroom for entertaining. 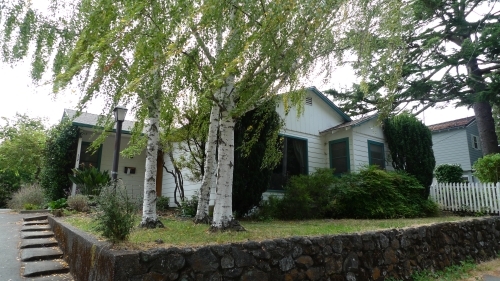 Located just two blocks from downtown Larkspur.